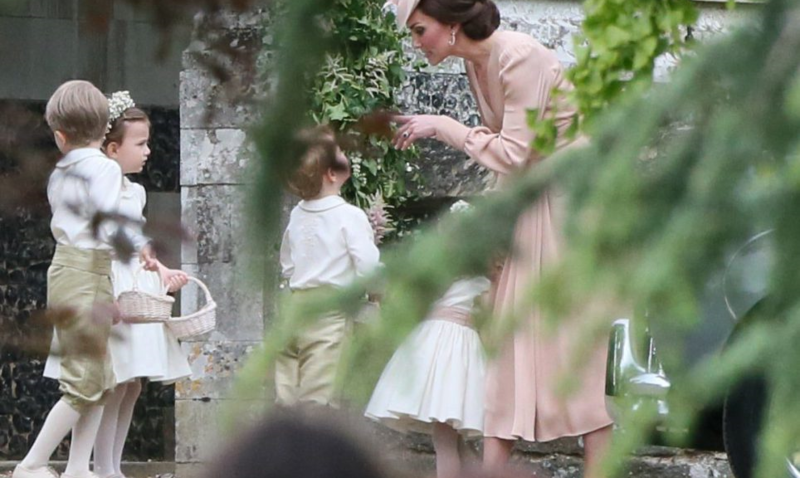 I really felt for Kate when those images appeared in the press of her scolding George at Pippa’s wedding. This was a serious case of PWA – ‘Parenting with an audience’. I am sure that the vast majority of parents have at some point been in that awkward position where you are trying to discipline your child and they are having a meltdown in a public place. Of course this is magnified to a crazy scale when the whole world can view the image!!! Classic locations for PWA are: the supermarket checkout when your child is screaming for an item of food, at the park when they have hit another child and refuse to say sorry, at the grandparents when they don’t want to say hello or give a kiss, on an aeroplane when they don’t want to put their seat belt on, in the middle of the school playground when they don’t want you to leave etc etc. Parenting is hard enough without the stress of parenting in public and feeling that you are being judged by total strangers. In these situations, we may end up parenting in a way that we wouldn’t do usually in the privacy of our own home. There is no such things as a perfect parent and every child at some stage has their challenging moments. It is no reflection on you. This is the most important but most difficult thing to do. Take a few deep breaths and perhaps use a mantra; ‘”This will soon pass” or “This isn’t an emergency”. Your child’s emotions naturally trigger emotions in you but if you can’t keep things in perspective, it will be very difficult to respond in an effective way. Your relationship with your child is far more important than worrying about what a total stranger or acquaintance in the playground thinks. Have the confidence to handle the situation in a way that sits comfortably with you and your child rather than focusing on the stress of judgements someone observing may be making. If you can focus on what your child needs from you in that moment not what you think others want to see. If at all possible take your child over to a quiet corner away from the situation and prying eyes. For instance, if they have just whacked another child at the playground and their parent is waiting for you to respond harshly and make your child say sorry. In this situation, a child may feel very embarrassed and dig their heels in even further. Put yourself in your child’s shoes and reflect back to them how they are feeling. Responding with empathy and understanding so your child immediately feels heard and understood can really help them to calm down far more quickly. As much as possible try and pre-empt possible problems in advance so your child knows exactly what to expect. Chat the situation through before hand, how they need to act and how they might feel. E.g. walking through a museum shop if you have no intention of buying your child anything, letting your child know in advance that when you come to pick them up from a playdate there is no option of having a sleepover that day, having to sit at the table in a restaurant without playing on an Ipad, greeting a relative at a family gathering etc. Part of preparing for success is to role play situations in advance e.g. shaking hands with an unfamiliar relative, going up to children at a birthday party where you don’t know anyone. When you are out as much as possible stay connected to your child and involve them in what is going on. One of the reasons they often play up is because they don’t have your full attention so they act out to regain your attention. Of course it may not always be possible to focus on them but try to talk them through what’s going on. Think of a way of engaging your child in an activity like food shopping, being in a restaurant, sitting on an aeroplane, being at a wedding so they don’t get bored. This takes a bit of effort but is so worthwhile to help things run more smoothly. They could have their own shopping list of items to find, a task like counting how many children they can see or finding a specific image in the inflight magazine. You really shouldn’t have to worry about what total strangers think but if it’s your mother in law, the class teacher or a friend, you may want to take them aside another time and explain for instance your positive parenting style and why you don’t believe in fear and punishment or forced apologies. Despite all this thought and preparation, the reality is sometimes we will be caught off guard and find it hard to keep our cool. It’s just part of the joys of parenting and a few days or weeks later, you will probably laugh about a moment that at the time that felt highly embarrassing or stressful. We’ve all been there!